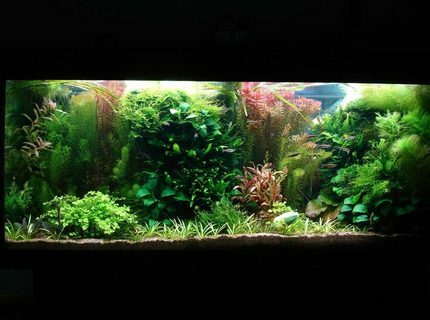 Description: 55 gallon. Carbo Plus CO2. 220 watts 5500K power compact fluorescent lighting. 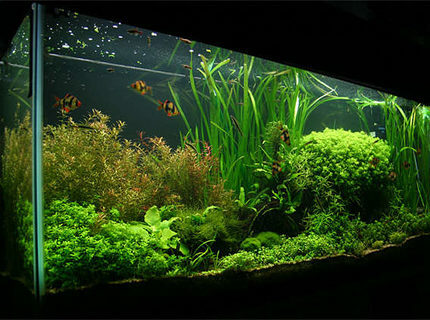 Corals/Plants: The left of the tank is Riccia fluitans and Vesicularia dubyana tied down onto a system of hollow rock caves on a sand substrate. 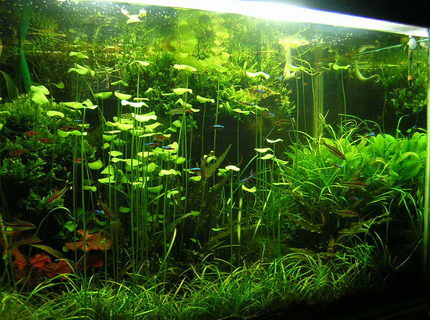 The center of the tank is all ludwigia repens, Nuphar stellata, Eleocharis parvula, Echinodorus tenellus, and a few crypts in flourabase, with a anubis on the wood that seperates the wood from the sand. 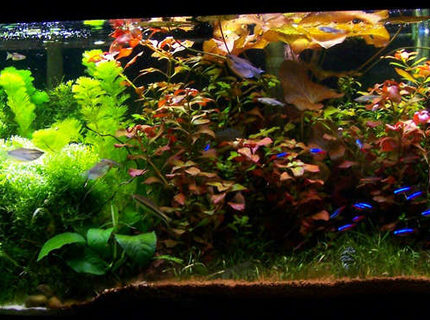 The right of the tank is Microsorum pteropus regular and Windelov rooted onto a twisted pile of roots about 2 inches of the plain gravel with larger rock substrate, to create mangrove effect under them for the fish to find shelter. And a lonely crypt off in front of them. 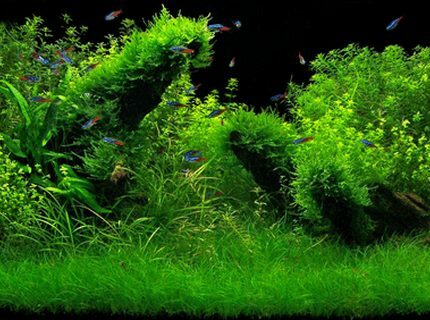 Advice: I have slowly switched all my tanks over to planted tanks over the last couple years and could never go back, the fish are so much calmer, and its just plain peaceful to watch them putter around in a planted tank. 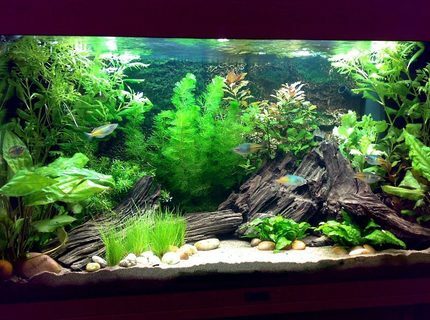 Description: 4 Foot 50 Gallon Tropical community tank. Fish Kept: Neons Tetra - Botia striata - Red cherry shrimps. Corals/Plants: Bacopa australis - Echinodorus tenellus - Eleocharis parvula - Eleocharis accicularis - Hemianthus micranthemoides - Micranthemum umbrosum - Microsorum pteropus 'Narrow' - Microsorum pteropus - Peacock moss - Rotala sp. 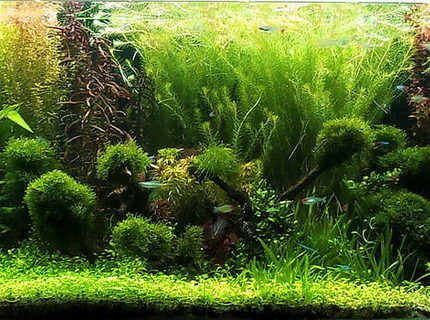 ''green'' - Rotala sp. ''Nanjenshan''. 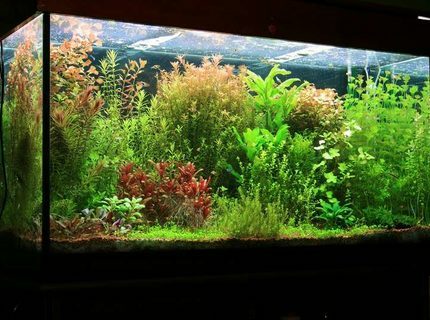 Advice: Look after the water and the fish will do fine. 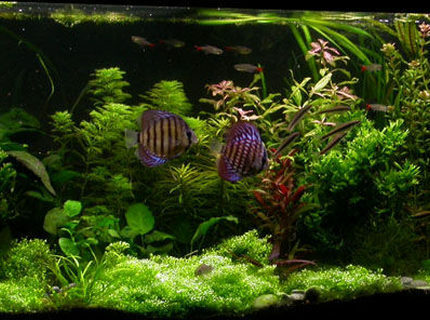 Fish Kept: 9 x Corydoras sterbai 3 x Farlowella sp. 30 x Nannostomus beckfordi 2 x Peckoltia sp. L-134 1 x Rineloricaria (H.) sp. "red"
Quote: There art two cardinal sins from which all others spring: Impatience and Laziness. About Yourself: I am 23yrs old and a Mining Engineer by profession. Live in a small town in India called Raipur. Have been approximately 2 yrs in this hobby. 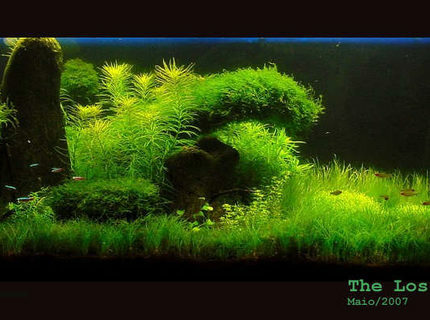 Description: 90G - 3'x2'x2' pH - 6.8 | average water temperature - 27C 6500k Compact fluoroscent lighting (260W) DIY canister filter - 800l/h DIY CO2 - 2BPS PMDD fertilization.